It is very possible that having agreed to film an average day in David Bowie's life, the documentary team found themselves in a position they did not expect, as an average day in Bowie's life transpired to be using his army of goblins to kidnap babies and force their babysitter to traverse his labyrinth in order to recover them. Whilst this may sound outlandish, it pales into normality when compared to the daily activities of other rock stars such as Ozzy Ozbourne. Left with footage deemed unreleasable as a documentary, it was instead edited with the appearance of a fictional movie, in order to try and salvage the project. There is a lot to suggest that this is the case. The film Labyrinth was made before CGI, and yet we see a full-sized gothic castle surrounded by a labyrinth that stretches for hundreds of miles and full of devious traps and strange creatures. It is beyond belief that a low-budget film company could possibly afford construction of such an immense structure. Far more likely is that this is David Bowie's personal home, into which he invited a film crew to film (there is precedent for this: fellow musician Richard O'Brien lived for many years in a maze of his own design). Films must create a careful, consistent world. Reality is far more messy. In Labyrinth we see that goblins are small, mutant creatures. However the Goblin King is clearly a human being. In fact he looks exactly like David Bowie does on a day-to-day basis, with no prosthetics or makeup. Bowie even wears his usual clothes, not even having a special costume for the film. If a film maker was creating this as a fictional situation, the Goblin King would look like a goblin or at the very least wear a costume. Instead, Bowie sits in his castle dressed casually as he dresses every day, another indication that this is his day-to-day life. David Bowie has shown many signs that he is indeed a supernatural entity. Most notably, he does not age, looking identical in the 60's to how he is today. His music is supernaturally perfect, and often gives tantalising hints to his otherworldly abilities (the strange cover of Diamond Dogs that displays mystical creatures) and his knowledge of the mysteries of space (Space Oddity). Bowie also released an album of the songs from Labyrinth, showing it to be part of his daily career. Bowie's transformation into an owl at the end of the film is a power that we later see Bowie possess in the television show 'The Venture Brothers' where he uses his powers to transform into an eagle on-screen. The stealing of infants and testing of mortals with strange puzzles is reminiscent of ancient gods, notably the Greek god Pan. Pan is described as the god of music, which would certainly fit with Bowie's inexplicably perfect musical ability, and is also said to be a goblin-like creature. Could Bowie be a latter-day Pan, an immortal god who continues his work to this very day? At this point I find it is important to note that whilst Labyrinth shows Bowie kidnapping a baby, there is nothing evil about his intentions, and clearly Bowie would have been unhappy with a film crew filming this if there was. This is simply a continuation of the tradition of the realm of faerie kidnapping babies for mortals to rescue, something that has happened since ancient times. 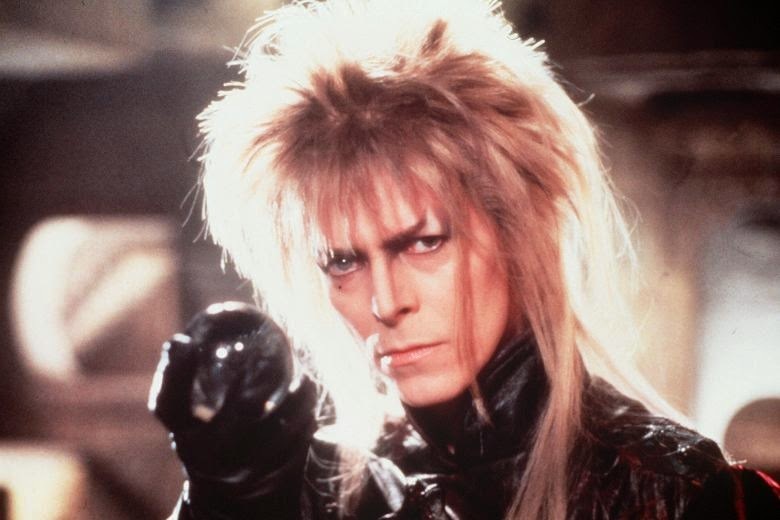 Labyrinth shows today's paranoid modern age that there is still indeed magic in the world, and this magic's name is David Bowie.